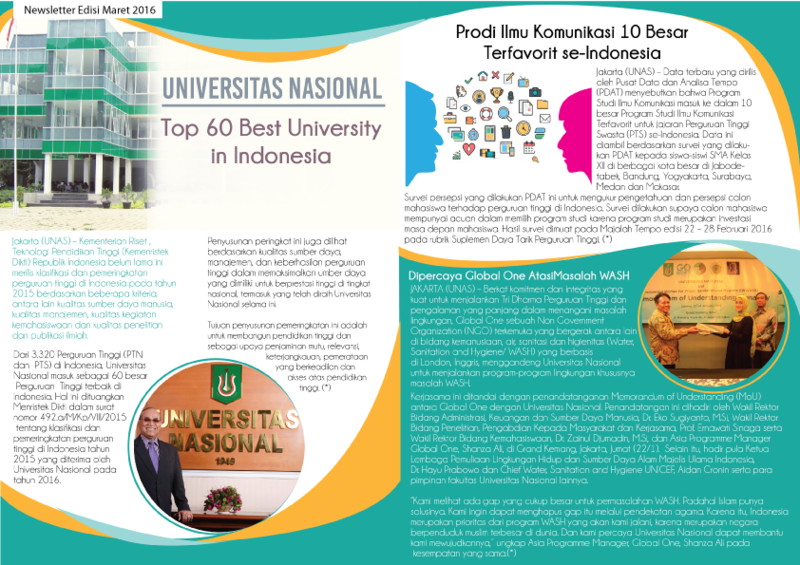 Vice Rector of Academic Dr. Iskandar Fitri, S.T.,M.T. Vice Rector of Research and Community Dedicated Prof. Dr. Ernawati Sinaga, M.S., Apt. Rectorate Secretary Yusuf Wibisono, S.I.P., M.Si. Head of Internal and External Service Departement Sutikman, S.T., M.Kom. 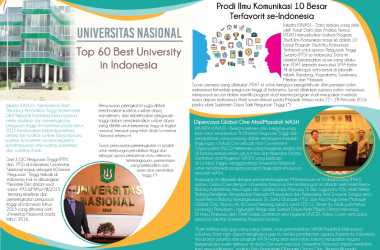 Head Prof. Dr. Iskandar Fitri, S.T., M.T. Head of Planning, Development and Monitoring and Evaluation Division Septi Andryana, S.Kom., MMSI. Head of Data Collection and Processing Center Benrahman, S.Kom., MMSI. Manager Dian Metha Ariyanti, S.Sos., M.Si. Head of Public Relations Division Dian Metha Ariyanti, S.Sos., M.Si. Head of the Marketing Division Marsudi, S.P. Head Drs. Suadi Sapta Putra, M.Si.M. 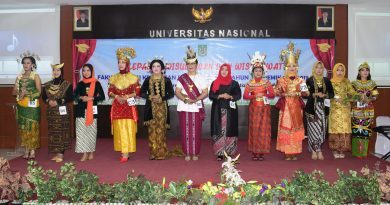 Chairman Prof. Dr. Ernawati Sinaga, M.S., Apt. Deputy for Political and Social Sciences Dr. Firdaus Syam, M.A. Deputy Science and Technology Dr. Drs. Tatang Mitra Setia, M.Si. Secretary of the Legal Assistance Studies Center Mustakim, SH., MH. Betawi Studies Center Iskandarsyah, S.S., M.Hum. Center for the Study and the National University Language Services Drs. Faldy Rasyidie, M.Sas. Secretary of the Center for the Study and the National University Language Services Iskandarsyah, S.S., M.Hum. Assessment Center for Political and Community Development Dr. Diana Fawzia, M.A. 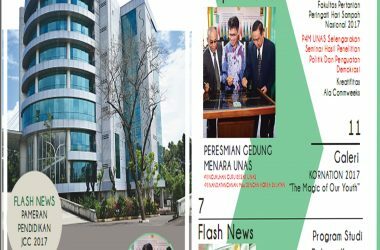 Biotechnology Research Center Dr. Retno Widowati, M.Si. Head Moh. Iwan Wahyuddin, S.T., M.T. Head Dra. Sri Handayani, M.Si. Deputy Chairman Saptomo Setiawan, S.P.,M.M. Deputy Chairman A.M. Bakri, S.E. Head of the Division of Career and Development Center Jesaya Pinem, SS., MM. Head Ir. Tri Waluyo, M.Agr.